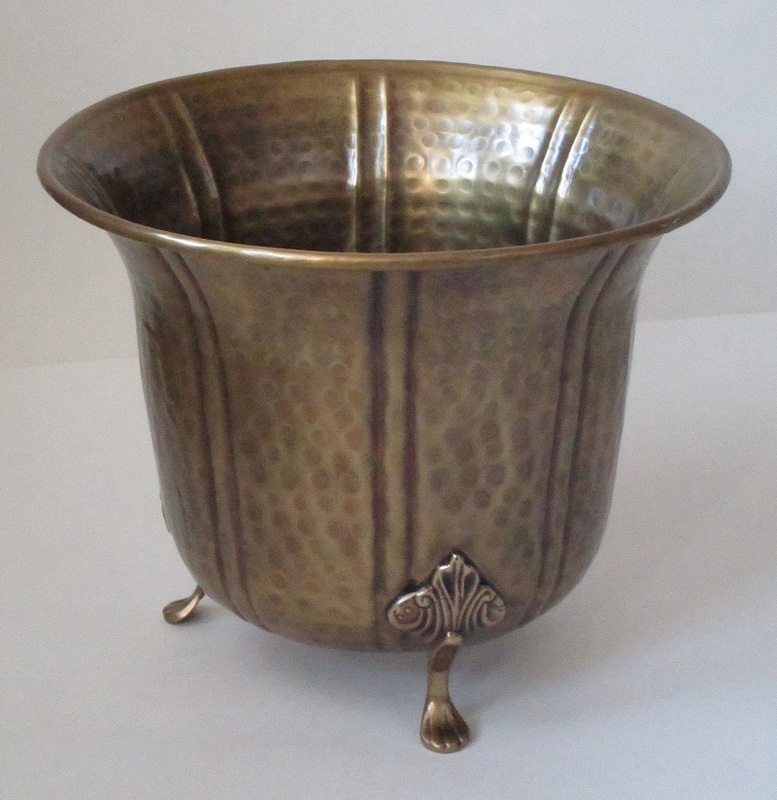 Solid Brass Planter Tabletop 10"W x 8.25"H. Lacquered to resist tarnishing. Solid brass cast feet. 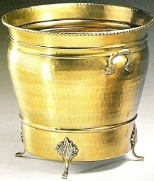 Solid Brass Planter Tabletop compact design with antique brass finish lacquered to resist tarnishing. 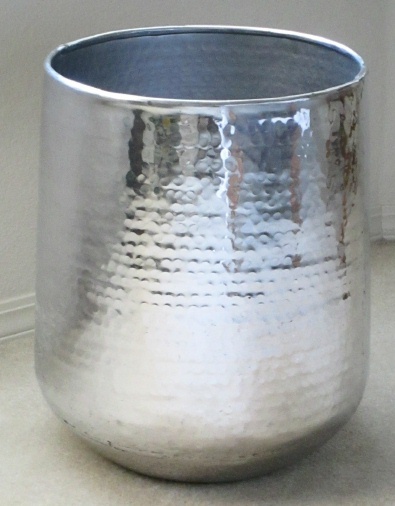 Diameter 10" (measured across top opening). Interior diameter 7" (midway). Height 8.25" (measured from tabletop to top of rim). Solid brass cast feet. 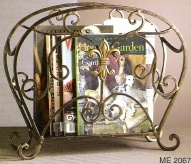 Heirloom quality piece rugged brass construction expertly detailed. 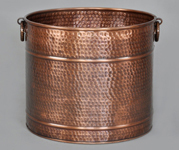 Because this item is hand made, finish patina and dimensions can vary slightly. An Excellent Accents exclusive item.